Swollen gums are a very common problem, but not one that should not be ignored. 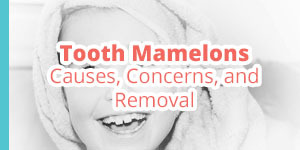 Treating it properly from its very first stages is essential for maintaining your oral health. The swelling can be caused by a wide range of conditions. A dental professional can help patients determine the cause of the swelling, and then provide them with a personalized treatment plan. While swollen gums are often associated with gingivitis and chronic inflammation of the gums, this is not always the case. In this article, we will present the main causes of swollen gums, as well as the key aspects regarding the treatment and prevention of this common condition. It is very important that patients know how to identify the early stages of swollen gums, so that they can seek medical help before the condition is aggravated. The local edema is the accumulation of fluid in the gums. This causes the gums to swell and shift their color from light pink to dark pink and red. Swollen gums are painless, in most cases. Patients typically experience a slight local discomfort that does not affect their eating and drinking habits. However, advanced or acute cases may present with local pain, and even ulcers and bleeding. Another common symptom of swollen gums is bad breath. The accumulation of fluids and toxins generates a foul smell that the patient will notice immediately. In advanced cases, swollen gums can lead to the edges of the gum line receding, which is accompanied by a poignant halitosis. When has the swelling started? In acute conditions, the gums can swell significantly in a matter of hours or in a couple of days. On the other hand, in chronic conditions, the swelling may be almost impossible to notice at first. The symptoms may only become noticeable after a few weeks, or even a few months. Is the swelling localized or generalized? Depending on the causing factors, the swelling may be localized to one or several teeth, or it can affect the entire gum line. Swollen gums around one tooth typically indicate dental infections and trauma to the gums. General swellings, on the other hand, may indicate a chronic condition. Swollen gums are painful in advanced stages of chronic diseases (periodontal disease) or in acute conditions, such as local traumas to the gums (cuts, sores, ulcers, bruises). Are there any local secretions? If patients notice any local secretions in the gum area that has swollen, they should mention this to their doctor. Moreover, they can press gently on their swollen gums to see if any secretions are expressed. The presence of clear secretions is associated with chronic inflammations, while white milky secretions indicate a local infection. Swollen gums may appear as a side effect to certain types of medication. In this case, the swelling debuts quickly after the patients begin taking the medication. It is very important that you mention any recent treatments to your dentist. Changing toothpaste or mouth water brands can sometimes cause a local reaction to the gums. Patients will notice the generalized swelling of the gums after the first few times they use the new brand. Vitamin C deficiency can cause the swelling of the gums, in some cases. Your doctor will talk to you about your diet to determine if malnutrition is the cause of the edema. In some cases, women may experience swollen gums during pregnancy. 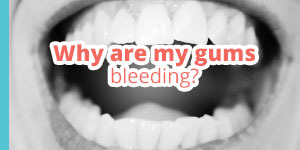 This is caused by the hormonal changes that come with pregnancy that increase the blood flow to the gums. The condition is referred to as pregnancy gingivitis. It is very important that you tell your dentist that you are pregnant, because this will influence the diagnostic process, as well as the treatment plan. 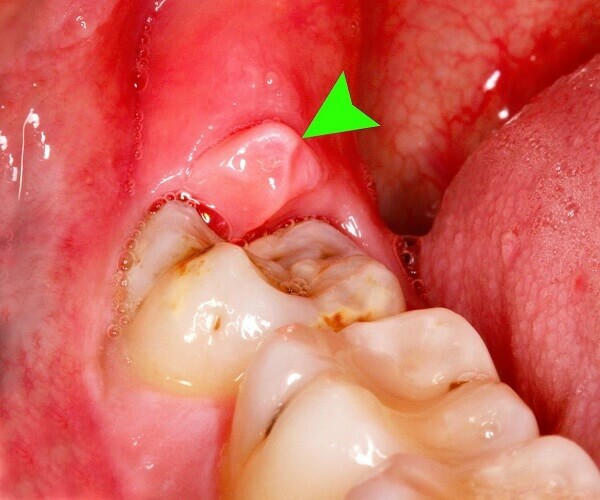 Dental abscesses also cause the gum line around the affected tooth to swell. 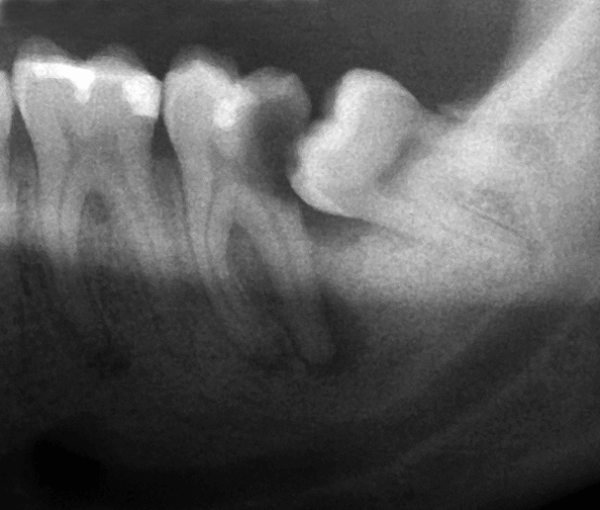 In this case, patients present with swollen gums around one tooth. They may also experience local pain. The swelling of the gums may appear after some dental procedures. Dentists will tell their patients what to expect in the following days after their procedures. Swollen gums around a wisdom tooth may indicate a great number of issues. Patients should seek professional help, because the area must be properly examined to find the cause of the swelling. An X-ray may be necessary to diagnose developmental issues of the wisdom tooth, cavities, and infections of the wisdom tooth, and/or of the tooth located next to it. Infected gums debut with the swelling of the affected gum line. During the examination, the dentist will determine whether or not you may be suffering from gingivitis. Swollen gums may also be the first stage of periodontal disease. This is a chronic condition of the gums that develops over time, and causes the gum line to recede. In advanced cases, the dental ligaments are also affected, which leads to the loosening of the teeth. Even in the early states, most patients also present dental plaque. This is a key aspect of the diagnostic process of periodontal disease. The dentist will perform a thorough clinical examination to determine what is causing the gums to swell. This includes the physical examination of the gums and oral cavity, and talking to the patients about the evolution of their symptoms (anamnesis). The doctor will then determine a treatment plan that is in line with the causing factors. If the swollen gums are a side effect of medication, the doctor may ask the patient to stop the treatment. The swelling will recede as soon as the patient stops taking the medication. If the swelling is dramatic, the doctor will ask the patients to stop using the new brand of toothpaste immediately. On the other hand, if the swelling is minor, the patients will be kept under observation. If the swelling goes down in the following days, they can continue using the toothpaste. However, if it gets worse, they will be asked to stop using that brand of toothpaste. Correcting the vitamin C deficiency will make the swelling go down. Patients should know that reaching normal vitamin C levels will take a few weeks, and that the swelling in their gums will also go down in time. The symptoms of pregnancy gingivitis are usually reduced after the birth of the baby. However, they will not disappear until a normal hormonal balance is reached. During this time, the gingivitis may lead to long-term effects on the gums. It is crucial that women seek the help of a dentist during their pregnancy, as well as after the baby is born, to avoid chronic conditions. After the dental abscess has been treated, the swelling in the gums will go down in a couple of days. This will not have any long-term effects on the gum. Reducing the swelling around the wisdom tooth is extremely important. As such, doctors may opt to remove the wisdom tooth if it is infected or if it is pressing on the tooth next to it. If the swelling of the gums is caused by an infection of the gum line, the doctor will prescribe a two-stage plan. The infection will be treated with antibiotics during the first stage, and then the dentist will provide the patient with a long-term gum care plan, which constitutes the second stage. You can find out more about this plan in the following section of our article. 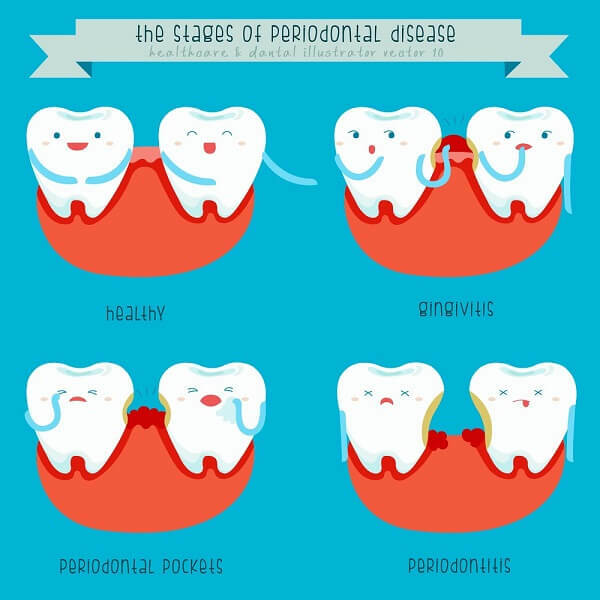 The doctor will determine the stage of the periodontal disease and begin treatment immediately. If the disease is in its early stages, its effects may be minimized with the proper care. The doctor will recommend plaque removal procedures and maintaining a rigorous oral hygiene. However, if the condition has reached a chronic level, the damage to the gums and dental ligaments is irreversible. In this case, the doctor will prescribe a more complex line of treatment, as well as the main oral hygiene techniques. 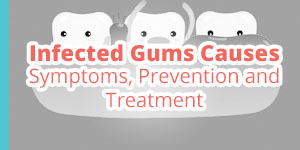 The gums can reflect the state of the patient’s health. As such, healthy gums require a healthy lifestyle. To prevent swollen gums, it is essential that patients maintain a good oral hygiene. They must also uphold a healthy and balanced diet to protect their teeth and their gums. Maintaining gums health requires a rigorous cleaning of the teeth and oral cavity. Patients must clean their teeth properly on a daily basis to ensure the long-term health of their gums. Patients must brush their teeth at least twice a day to ensure a correct dental hygiene. It is ideal that they brush their teeth after every meal to remove residual food that could harm the teeth and gums. Moreover, patients must brush their teeth correctly to remove all the food residue. Dentists can instruct patients how to clean their teeth properly. This is a very important part of the cleaning process, because some food residues may be impossible to remove with a toothbrush. Flossing daily will help patients keep their teeth and gums clean. Using mouthwash on a daily basis can actively reduce the bacterial population in the oral cavity. This will help prevent dental plaque deposits, which will contribute significantly to the prevention of swollen gums. The main aim of professional cleaning is to remove dental plaque. 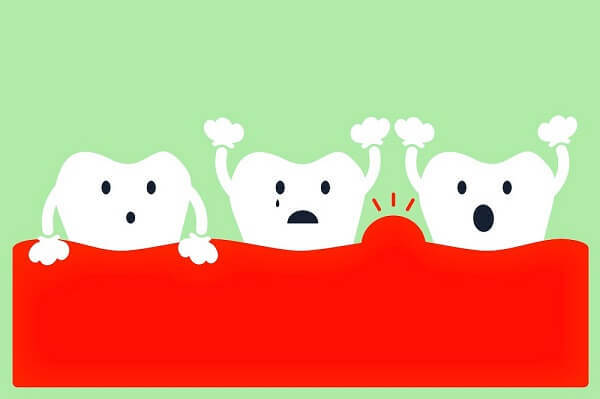 This is a crucial step in the prevention of swollen gums, because the bacteria in the plaque causes the gums to swell. The dentist will recommend regular cleaning sessions that remove plaque from the surface of the teeth. In more advanced cases, when the plaque spreads to the roots of the teeth, the dentist may recommend deep cleaning. This includes dental scaling and root planing procedures that can remove plaque from the deeper parts of the teeth. Steering clear of sugary food and drinks is very important for maintaining the health of your teeth. However, this may not be enough to ensure the long term health of your oral cavity. Nutritional imbalances may affect the health of your gums and teeth and, as such, you should aim for a well-balanced diet to prevent gum and dental issues. 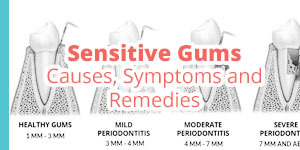 To sum up, swollen gums may signal a wide range of issues. It is very important that patients seek professional medical help as soon as they notice the swelling, because this will ensure the timely diagnosis of any underlying issues. Maintaining a rigorous oral health is the best way to prevent swollen gums and ensure the long term health of your gum line. I am very familiar with swollen gums! I actually have very sensitive gums myself and ended up needing a dentist prescribed mouthwash specifically to help with my gums. Thankfully, since using the prescribed mouthwash, my gums have greatly improved! We’re glad to hear your gums are doing much better after using special mouthwash. Thank you for your input!